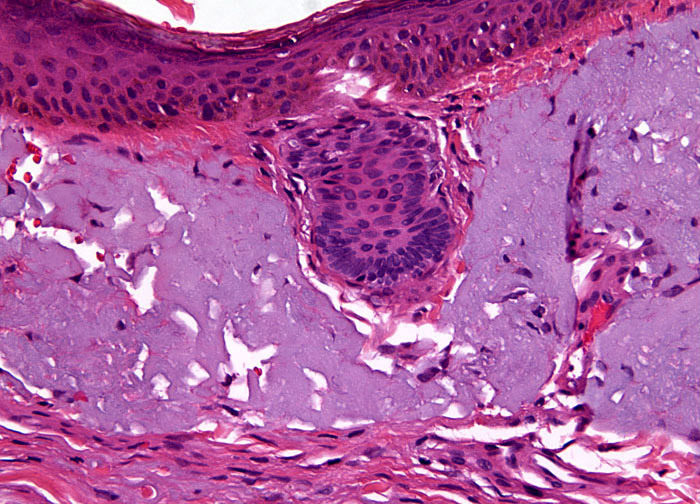 Basal cell carcinoma is the most common type of cancer in humans. In the United States alone, an estimated 900,000 people develop basal cell carcinoma each year, and by most accounts, that number will continue to grow as the Earths protective ozone layer becomes increasingly compromised. Individuals with blue or green eyes, fair skin that tends to burn rather than tan, and blonde hair are among those that are most likely to acquire the disease. Men have traditionally been much more likely to develop basal cell carcinoma than women, but over the last few decades the risk for the female portion of the population has increased to such an extent that the gap in incidence between the sexes is beginning to shrink. This statistical change is usually attributed to women spending more time outdoors than ever before.